Italdesign will be exhibiting at Milano Design Week for the first time, with a display space dedicated to its most recent industrial design projects. From the 8th to the 14th of April, inside the Opificio 31 event space at Via Tortona 31 in Milan, visitors will be able to freely access the showroom and take a close look at a selection of the objects created by Italdesign’s Industrial Design Division, in partnership with international clients: the brand-new Faema E71E professional espresso machine, the Okamura Finora office chair, and the Oxolodgy Glitch table, made from ten-thousand-year-old wood. 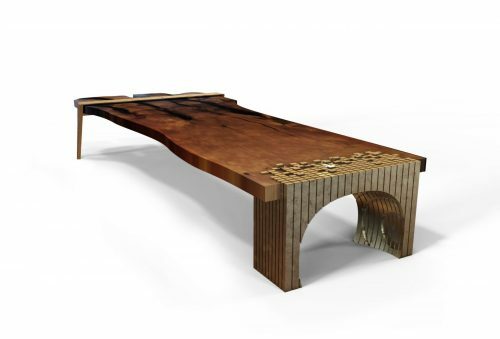 The objects on display will also include genuine industrial design concepts: Esasit, a series of stackable hexagonal chairs,; and Ombra, a carbon-fiber chaise-longue with massage function, developed in partnership with Alcantara. The Italdesign space will be open to visitors daily from 8 a.m. to 9 p.m. at Opificio 31, Via Tortona 31, Milan. Unveiled at the 2019 Geneva Motor Show and on display here for the first time in Italy is this all-electric GT concept car, a sports thoroughbred which is at the same time elegant and luxurious. Dedicated to the genius of Leonardo Da Vinci, in the five hundredth anniversary of his death, it features two large gullwing doors which allow simultaneous entry to front and rear passengers. The innovative interior has been developed in partnership with Alcantara. 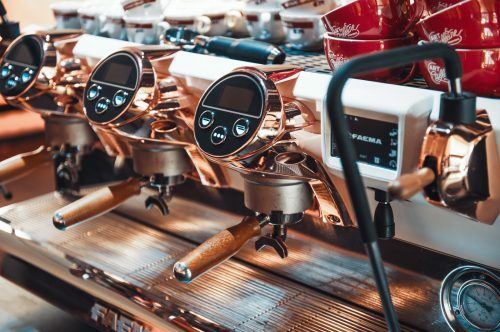 A professional espresso coffee machine which combines style, technology and ergonomics to offer the best on the market for baristas. Independent units allow management of different coffee types, allowing the optimum extraction temperature for each to be used. Cold-touch technology makes gripping the steam wand safer and more ergonomic, and facilitates cleaning after use. 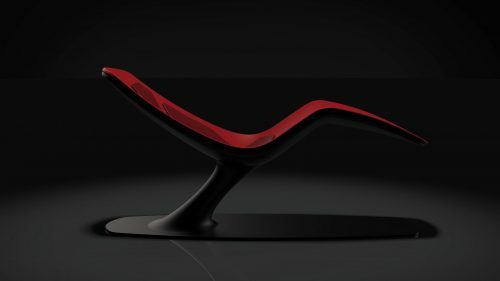 The design of this conceptual chaise longue with massage function, created in partnership with Korean company Bodyfriend, combines sleek, elegant forms, high-tech materials, and an advanced massage system incorporating small pneumatic airbags integrated into the seat, covered in Alcantara. This is a concept design developed in partnership with Alcantara. 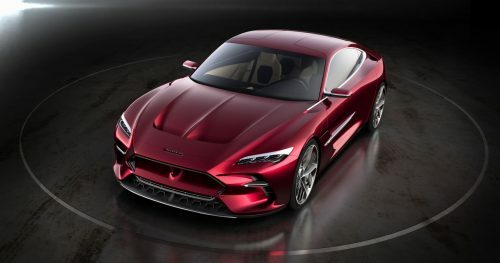 The reference to Italdesign’s most recent automotive production is highlighted here by the particular hexagonal form of the individual elements, which invoke the aesthetic elements used in the GTZero and DaVinci concept cars and in the ultra-limited production Zerouno and Zerouno Duerta models. 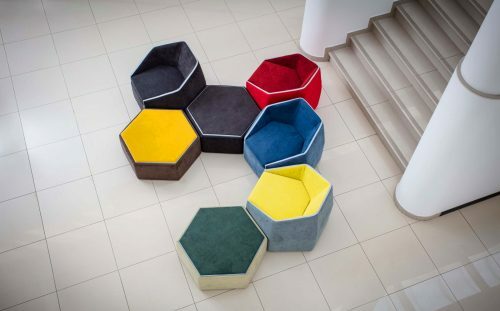 It is precisely the unusual design of each element which allows them to freely come together to create a colorful, dynamic mosaic which can adapt to different environments and situations. 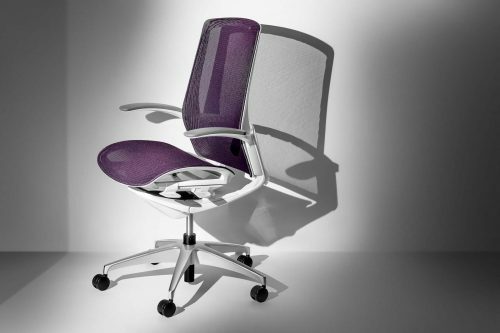 The Finora office chair has been designed in partnership with Okamura; inspired by a typical automotive design, Finora offers a high level of functionality and comfort without negatively impacting the aesthetics. Finora can be customized both in terms of the padding and the structure’s color. The inspiration behind Finora’s design lies with four keywords: Purity, Power, Personal and Precious.